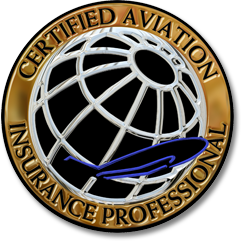 The Certified Aviation Insurance Professional (CAIP) designation is designed to elevate the aviation insurance industry's professional standards, enhance individual performance, and recognize and designate those who demonstrate the knowledge essential to understanding and managing the concerns of the aviation insurance industry. The information on this application will be used to evaluate your candidacy for the CAIP designation. Please complete all information. Incomplete applications will be returned. If information requested does not apply to you, please indicate with N/A. Return this application to AIA along with proof of completion of the required courses (or exemption documentation), proof of college degree (if applicable), letter from current employer with your start date and your $150 non‐refundable application fee. All applications are due at AIA headquarters NO LATER THAN FEBRUARY 28. 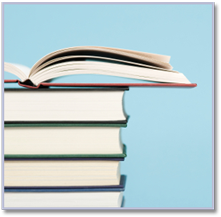 If an applicant has earned the CPCU or the CIC designation, all of the CPCU required courses will be waived. The only course the individual would be required to take is AIA's Aviation Insurance and Risk Management. CAIP designations are awarded once a year during the AIA annual conference. To be eligible for the designation during the conference, all applications must be submitted to AIA headquarters for processing NO LATER THAN FEBRUARY 1 of that year. The Aviation Insurance Association awards the CAIP Gold status to its members who have already obtained the Certified Aviation Insurance Professional designation, and who have thereafter demonstrated their sustained commitment to the aviation insurance profession through industry leadership, regular participation in the Aviation Insurance Association and other industry organizations, and ongoing involvement with industry educational programs ‐ above and beyond the call of duty. 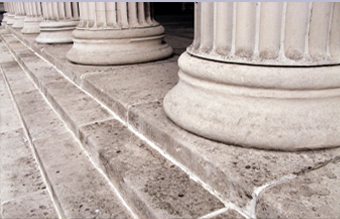 Candidates become eligible for CAIP Gold status no sooner than two years after their initial CAIP designation and all activities considered for CAIP Gold status shall have been accomplished after their initial CAIP designation. Once you qualify for the CAIP Gold Designation, you will need to re-qualify for your Gold status every two years. The information on this application will be used to evaluate your candidacy for CAIP Gold status. Please complete all information. Incomplete applications will be returned. If information requested does not apply to you, please indicate with N/A. Return this application to AIA along with proof of completion of the required courses (or exemption documentation). All applications are due at AIA headquarters NO LATER THAN FEBRUARY 28. For your reference, the point qualifications are listed below. 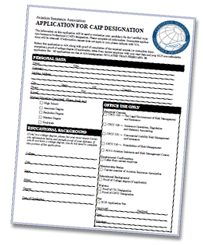 Download the CAIP Gold Application! Click here to see the current list of individuals who have earned their CAIP Gold designation. In addition, you will need to submit the appropriate paperwork to prove your attendance, etc., for each item. For example, if you had an article published in a magazine, include that article with the rest of your paperwork. If you’ve passed a national insurance exam, please submit your certificate or other proof of your passing score. NOTE: mandatory courses required to obtain your CAIP designation cannot be included in your CAIP Gold point total. Lisa Alderson Butler-Brown Insurance, Inc.
Ryan Birr Northwest Insurance Group, Inc.
Ed Butler Butler-Brown Insurance, Inc.
Charles Conour, Jr. Conour Insurance, Inc.
Julie Crawford AOPA Insurance Agency, Inc.
Josh Dietrick Alexander Aviation Associates, Inc.
Alicia Fick McGriff, Seibels and Williams, Inc.
James Graber Alexander Aviation Associates, Inc.
Jeff Graber Alexander Aviation Associates, Inc.
Holly Hopkinson McGriff, Seibels and Williams, Inc.
Drew Johnston Woodruff-Sawyer & Co.
Caitlyn Jones-Henry Sutton James, Inc.
Jeremy McCaslin McGriff, Seibels and Williams, Inc.
Andrew Pell BFL Canada Insurance Services Inc.
Elias Saboura-Polkovotsy Beiramee & Saboura, P.C. John Self McGriff, Seibels and Williams, Inc.
Michael Sparber Riemer Insurance Group, Inc.
Teresa Tolonen McGriff, Seibels and Williams, Inc.
Eugene Wooley Kern Wooley, P.C.